There is an emerging emphasis in science education on engaging youth in citizen science. The goals are similar to other context-sensitive pedagogical strategies such as increasing scientific knowledge and skills, understanding of the natural world, geographic awareness and ecological literacy, and ethical care for biological and physical environments. This chapter explores whether citizen science goes further with respect to citizen development. The emphasis is on how healthy communities and environments are indicative of school achievement rather than students’ scientific literacy. Different limitations for citizen science are analyzed in relation to the challenges of top-down, scientist-driven citizen science projects and bottom-up, community-centered investigative priorities for local choices and policy. Citizen science is emerging as citizens become more fully involved with their community and ecosystems, going back to the basics of civic responsibility and participatory democracy, community capitalism, and a shared sense of environmentalism. A guiding framework for citizen science cultivates the knowledge and skills needed to participate more fully in regional action and global advocacy, and how to address local situations in relation to larger global ones. 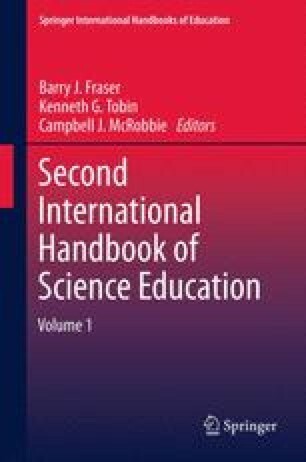 This chapter takes account of the ways educators will collaborate with members of the community to effectively guide decisions, which offers promise for sharing a responsibility for democratizing science with others. National Center for Education Statistics (2007). Digest for Education Statistics. Institute of Education Sciences. Retrieved on October 27, 2011 from http://nces.ed.gov/pubsearch/­pubsinfo.asp?pubid=2008022.